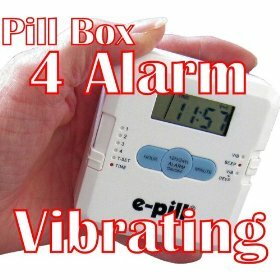 E-pill 4 alarm vibrating pocket pill box timer. vibrating alarm or beep alarm or both. 4 doses per day pill organizer. back light easy to read display. medical snooze.